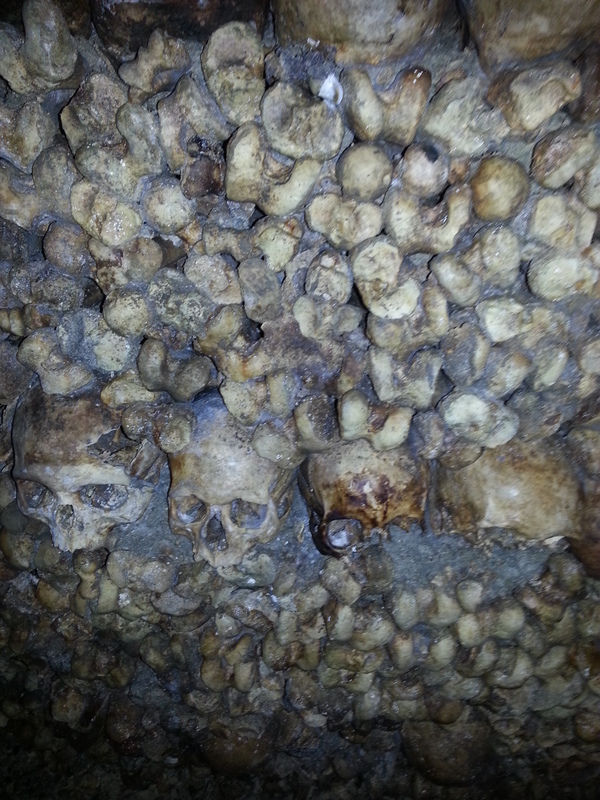 CATACOMBES?…JUST A PILE OF OLD BONES! 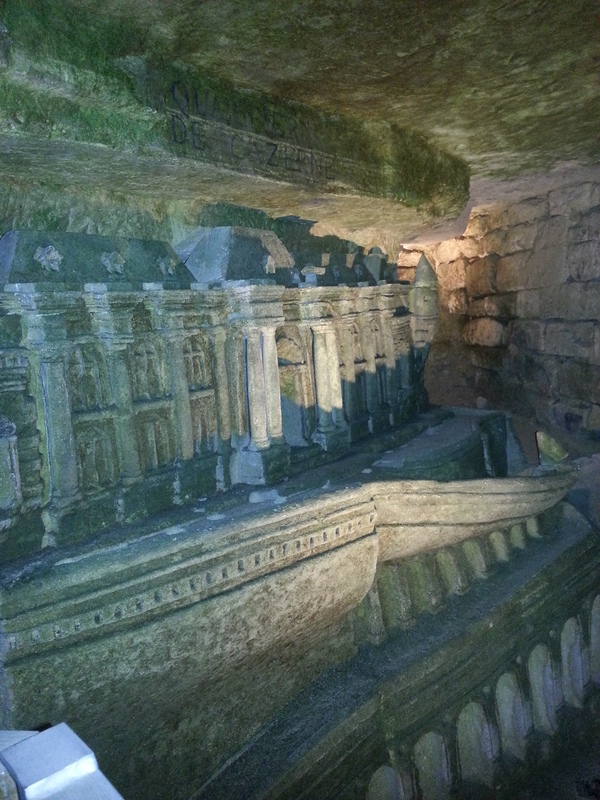 One of the things I managed to do on my Paris list was visit the Catacombes. I will cheat and reproduce the history of this strange place. The Catacombs of Paris (the “municipal Ossuary”) have been created at the end of the 18th century. The cemetery of Innocent (close to Saint-Eustace, in the district of the “Halles”) had been used during nearly ten centuries and had become the origin of infection for all the inhabitants of the district. After multiple complaints, the Council of State, by decision of November 9, 1785, pronounced the removal and the evacuation of the cemetery of the Innocent ones. 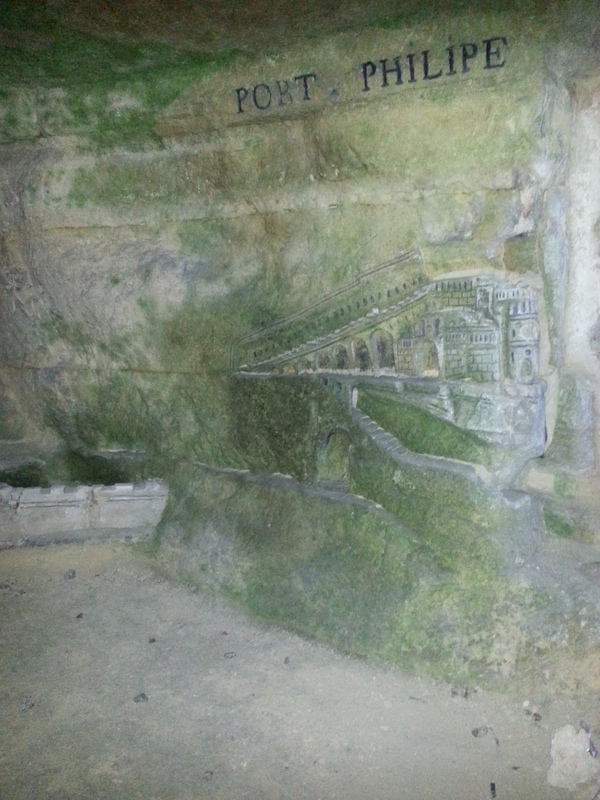 Old Quarries were selected to deposit Parisian bones; Paris indeed had just created the General Inspection ofthe Quarries charged of the consolidation of the public highways undermined by the Quarries. 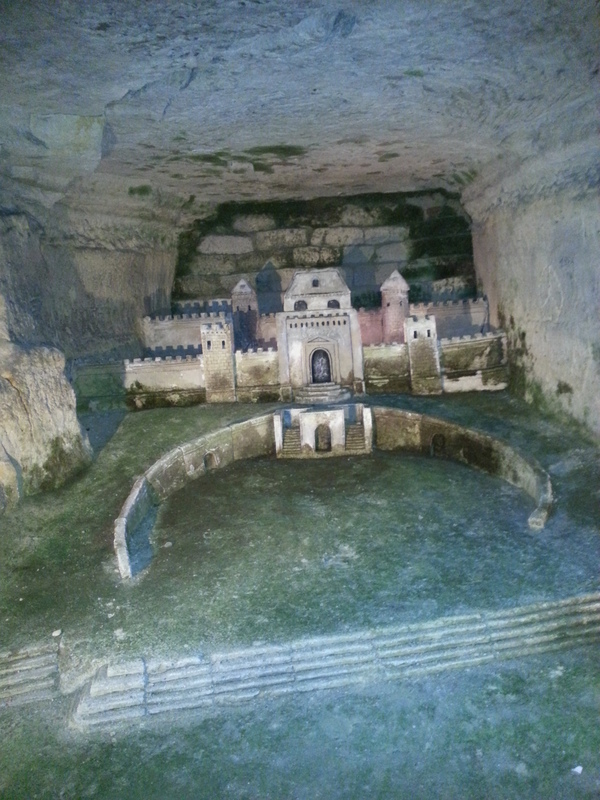 The Quarries “ofTombe-Issoire” were the object of work including masonry and consolidations of galleries, and by the digging of a flanked staircase. The removal of the bones began after the blessing of the place on April 7, 1786 and was continued until 1788, always at night and according to a ceremonial made up of a procession of priests who sang the burial service along the way borrowed by the tipcarts charged with bones and covered with a black veil. Thereafter, this place was used, until 1814, to collect the bones of all the cemeteries of Paris. From the first day of their creation, the Catacombs caused curiosity. In 1787, Lord of d’ Artois, who will becomeCharles 10, went down there, in company of ladies from the Court. The following year, one mentions the visit of Madam de Polignac and Madam de Guiche. In 1814, François 1st, emperor of Austria, residing as a winner in Paris visited them. 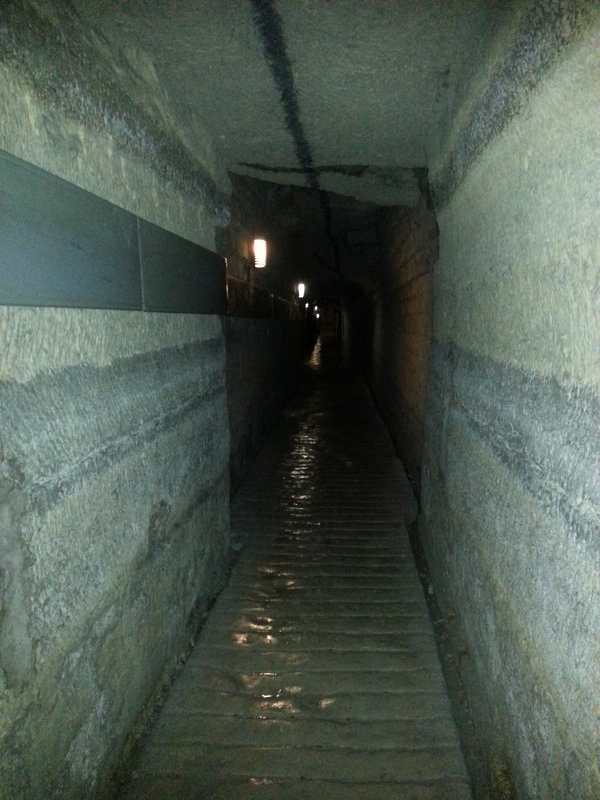 In 1860, Napoleon III went down there with his son. After queuing for 45 minutes on a drizzly morning, I paid my 6 euro and also bought an audio guide and decended the 130 steps to the museum. Then I seemed to walk along miles of damp corridors. Apparently there are around 2km of corridors underground. After walking through lots of narrow corridors I finally came to piles of bones…..and more piles of bones……and then more piles of bones! and a few artefacts made from….bones! Eventally, after climbing back up all the 83 steps, I emerged into a completely different street a long way from the entrance, and was totally disorientated. For me this was not the most interesting visit in Paris. But I have ticked it of my list! a year ago I was building up to yet another Paris trip! 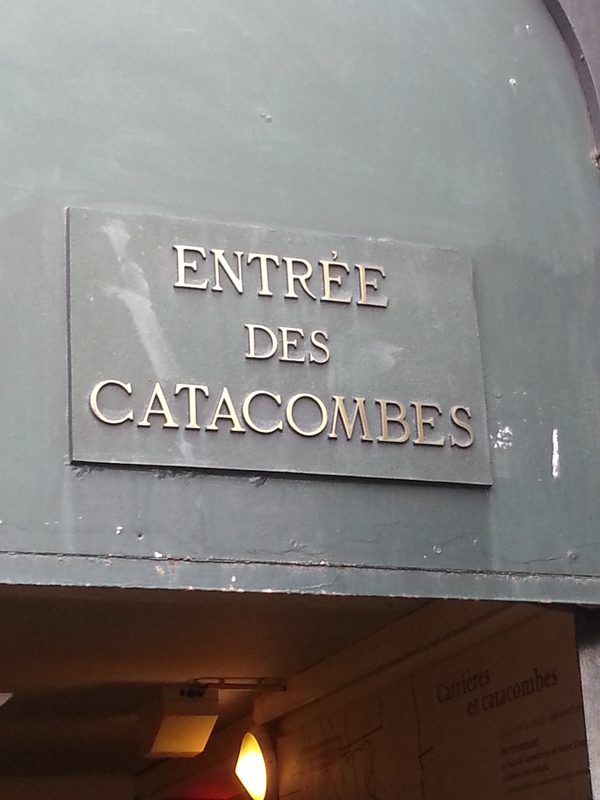 Tags: catacoombs, Paris, paris list. museums in Paris. Paris rainy day.. Bookmark the permalink. Have you read Pure by Andrew Miller? It’s the story of the young engineer who was employed to plan and oversee the removal of the bones from les Innocents. It makes interesting reading. I must admit I have never had any desire to visit the Catacombs, and after seeing your photos, fascinating though they are, I still have no desire to go there! I’d lend it to you but it’s on my kindle! Cool! 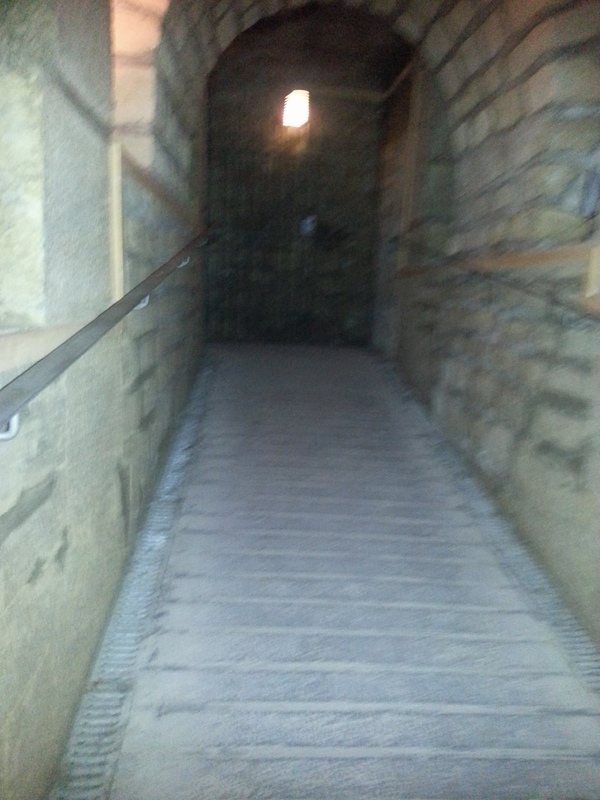 I went to the catacombs in Rome, but all the bones are gone from the public areas! How strange. What is the point of catacombs without bones? Love Denise. Oh, I did this and it wasn’t my greatest experience either. But I wrote a very funny update to my family at home about it. I keep thinking I should post the updates I did from that trip on my blog, but haven’t figured out yet how to frame them as the trip was over a year ago. Am glad to know it wasn’t just me that was underwhelmed though! Most impressed you did manage to get pix in there though…..I had a tough time with that!